Point2 Homes gives you far more than a simple list of houses for sale. Get instant access to a lot of relevant information about Sandy Hill, Ottawa, ON real estate, including property descriptions, virtual tours, maps and photos. The search results pages also have a wealth of information on Sandy Hill, Ottawa, ON, if you scroll all the way down. There are 56 houses for sale in Sandy Hill, Ottawa, ON. Searching homes for sale in Sandy Hill, Ottawa, ON has never been more convenient. With Point2 Homes, you can easily browse through Sandy Hill, Ottawa, ON single family homes for sale, townhomes, condos and commercial properties, and quickly get a general perspective of the real estate prices. Also, you’ll never miss a bargain if you filter listings based on house price drops in the past six months. Use the map view to find Sandy Hill, Ottawa, ON homes and apartments for sale, based on amenities or city features that you may want close by. You can close in on a specific neighbourhood or area by simply drawing around them with the polygon or radius tools. Stay informed about the latest entries on the real estate market by saving your searches. This way, you get new listings in your inbox, daily or every week, based on your preferences. If you’d like to get in touch with a professional, agents are displayed next to their listings, and they’re easy to contact through the online forms. If you want more options, you can click the Tools tab and Find an Agent, and you’ll get a list of helpful and knowledgeable real estate agents in Sandy Hill, Ottawa, ON. Visit the Point2 Homes blog and you can find up to date expert advice on many markets throughout Canada, regular market reports, neighbourhood scoops in cities throughout the provinces, real estate deals and useful recommendations. One of Ottawa’s most central residential neighbourhoods is Sandy Hill, which also encompasses the Ottawa Congress Centre, the Rideau Centre, the University of Ottawa, Ontario and many embassies. Sandy Hill has a long history and the mixed neighbourhood to go with it. Sandy Hill is the eastern section of downtown Ottawa. Its northern border is Rideau Street, its western border is the Rideau Canal, its eastern border is the Rideau River and its southern border is Highway 417 and Nicholas Street. 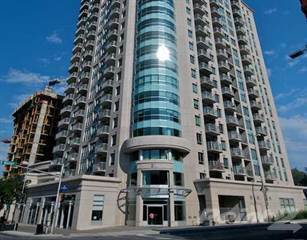 It is a prime location next to the Byward Market and Centretown. Sandy Hill has a mixed reputation, owing in large part to the predominance of students in the area. But move beyond the immediate vicinity of the University of Ottawa, and you find leafy neighbourhoods with heritage buildings, mansions and more. Historically, Sandy Hill was home to Ottawa elite such as senior public servants and politicians. Many of Canada’s former prime ministers once lived in Sandy Hill, including Sir John A. Macdonald, Sir Charles Tupper, Sir Wilfrid Laurier, Sir Robert Borden, William Lyon Mackenzie King and Lester B. Pearson. Laurier and Mackenzie King each lived in Laurier House, which is now a national historic site. Aside from the many heritage buildings, Sandy Hill has a strong arts presence as well. The Ottawa Art Gallery is located at Arts Court, a former city courthouse that hosts many art events. For theatre lovers, there is also the Ottawa Little Theatre, set at Rideau and King Edward. In the summer, Sandy Hill features the Theatre under the Stars, which is put on by Odyssey Theatre at Strathcona Park. Sandy Hill has a number of recreation facilities. There is the Sandy Hill Community Centre, as well as the Sandy Hill Arena. In addition, the University of Ottawa has three gyms, including the uOttawa Minto Sports Complex. One of the perks of living in the neighbourhood is that all residents of Sandy Hill get discounted gym membership rates at the university. For those who like outdoor recreation, there is Stratchona Park as well as paths for running, cycling and walking along both the Rideau Canal and the Rideau River. Sandy Hill has a lot to offer. 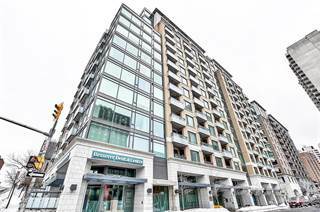 It is central, it has a wide variety of housing, and its proximity to the University of Ottawa brings benefits as well as issues. Take a stroll beyond the area surrounding the university and get a better feel for this diverse and interesting neighbourhood. The real estate in Sandy Hill is all over the map. From student and community housing to mansions, Sandy Hill has it all. Many buildings are from the 19th and early 20th century. 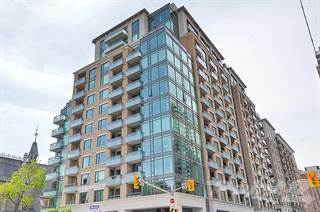 There are heritage apartment buildings such as The Strathcona, brand new condominium complexes, as well as more run of the mill apartment buildings. There is also a wide diversity of houses. Many of the old mansions are now embassies and many houses have been subdivided into multiple apartments. Many areas in Sandy Hill are family friendly. Aside from the University of Ottawa, there are two elementary schools in the area. Viscount Alexander Public School is an English-language school that offers junior kindergarten through grade 6 and has an early French immersion program. The Francojeunesse Public School is a French-language school offering preschool and kindergarten through grade 6. There are many other schools in surrounding neighbourhoods. Student housing is a touchy subject in Sandy Hill. With more than 40,000 students at the University of Ottawa and limited student housing, many students live in shared houses in Sandy Hill. This is a point of tension with other residents and with heritage preservation groups. In 2014, Sandy Hill has frequently been in local news as residents protest against the development of new, private student housing in the neighbourhood. Sandy Hill is a short walk from Byward Market, which is home to many of Ottawa’s best restaurants. Within Sandy Hill itself there are primarily pubs that cater to the student population, such as the Royal Oak and Fathers and Sons. Most are concentrated along Laurier Avenue East and King Edward Avenue. However, if you are more into gourmet meals, it is worth noting that Sandy Hill is home to Le Cordon Bleu Ottawa Culinary Arts Institute. Its Signatures Restaurant offers fine dining on Wednesdays through Saturdays and the school offers courses for beginners through to experts. In summer, Sandy Hill is home to the 8 Locks Flat Canal Bistro. Set on the shores of the Rideau Canal, this unique bistro has great patios, lounges, and a large sandbox or “beach” to form a summery retreat. Areas close to the University of Ottawa have some of the best public transportation options in the city, with Transitway stops at Mackenzie King, Laurier, Campus and Lees stations. The new Confederation Light Rail Line, set to begin service in 2017/18, will also have stops at Rideau, uOttawa and Lees. Otherwise the bus options are slow, local routes. The number 5 bus runs along Laurier Avenue East and the 16 runs along Somerset East. There are also several buses that run along Rideau Street: 7, 12, 14 and 18.